The following outlines the roles of each public class. Agent Melee/Shadow Damage Utility Medium Highly skilled shadow fighters trained in Evonia that use clockwork devices and poisons to brutally kill their foes. Arcanist Debuffer Utility Hard Masters of Arcane Energies and Runes from the magical city of Eridan and the Arcane Order. Blood Shaman Healer Damage, Utility Hard Masters of the Ama’rane native Blood Rites, which use blood to heal and wreck their enemies. Also follows the Way of the 13 Totems for spiritual power! Cleric Healer Utility, Damage Medium Holy followers of the five Entities! Fighter Melee Damage Tank Easy Masters of the five melee combat styles! 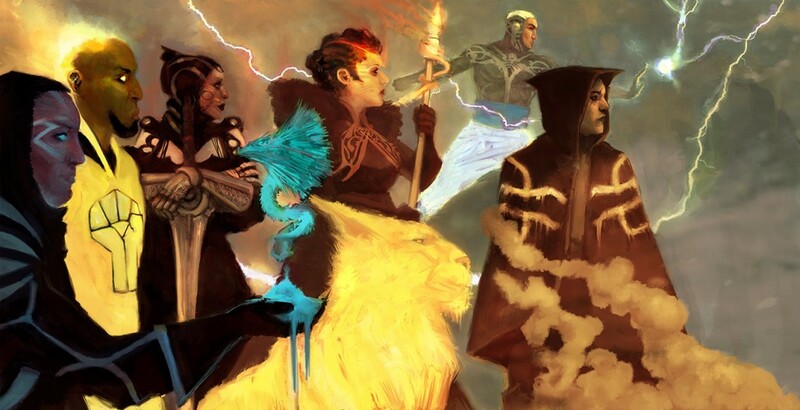 Mage Ranged Magic Damage Debuffer, Utility Medium Practitioners of devastating elemental magic from the magical city of Eridan and the Arcane Order. Ranger Ranged Damage Utility Medium Masters of the wilderness and the bow and arrow. Rogue Utility Damage Medium Cunning and crafty with a lock pick, capable of lacerating and robbing their victims! Templar Tank Damage Medium Holy warriors that struggle between the good, neutral and evil forces in the world. Wizard Damage Dispeller Medium Practitioners of powerful kinetic magics from the magical city of Eridan and the Arcane Order. A primary role is something the class excels at and is their main focus. Many of the classes abilities are geared toward this role and defines them as a whole. Any secondary roles indicate a class can perform that role in some limited capacity for a short duration. Many classes have utility as a secondary role and the scope and area depends on each class. A description of the three difficulty guide lines are below. They are merely guidelines and players can pick and choose what they wish to ultimately play. Easy classes are intended for new players to learn how to play a MUD and A Tempest Season. Medium classes are intended for players familiar with MUDs and other text based games, but new to A Tempest Season. Hard classes are intended for players who are familiar with A Tempest Season. These classes use complex game mechanics.